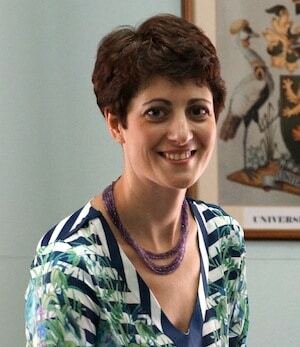 Anastasia Mirzoyants-McKnight, Director of Research and Operations, InterMedia Africa, brings expertise in qualitative and quantitative methodologies, theories of measurement, and mixed-method and mixed-mode research. She is also trained in advanced techniques such as participatory action research and evaluation, online research, and analytical modeling. She is currently serving as lead researcher on multi-country, multi-year studies for the Bill & Melinda Gates Foundation’s financial inclusion/mobile money programs in Africa and South Asia. Under the BBG International Audience Research Program (IARP), she oversaw hundreds of research projects spanning the countries of the Former Soviet Union (FSU), Middle East (e.g., Pakistan, Afghanistan, Iraq, and Iran), Africa (e.g., Morocco) and Asia. Mirzoyants-McKnight holds a doctoral degree in Educational Sociology with a minor in Research and Measurement from the University of Toledo, Ohio. Anastasia has presented her work at more than 20 research conferences and co-authored several articles for peer-reviewed journals. Mirzoyants-McKnight is based out of InterMedia’s Nairobi Office. NexThought Monday – Everybody Loves M-Shwari: So why isn’t everybody using the mobile banking service? M-Shwari, a mobile service that offers access to formal credit and savings in Kenya, has received tremendous attention from the media, as well as praise from digital financial services advocates. But has this attention led to strong consumer awareness, and if so, has that awareness translated to improved financial access? InterMedia shares the results of their long-term evaluation.